I made Cherry Bounce last night between The Late Late Show With Craig Ferguson and reruns of Frasier. Cherry Bounce. It’s pretty easy. I followed this recipe from Imbibe Magazine. 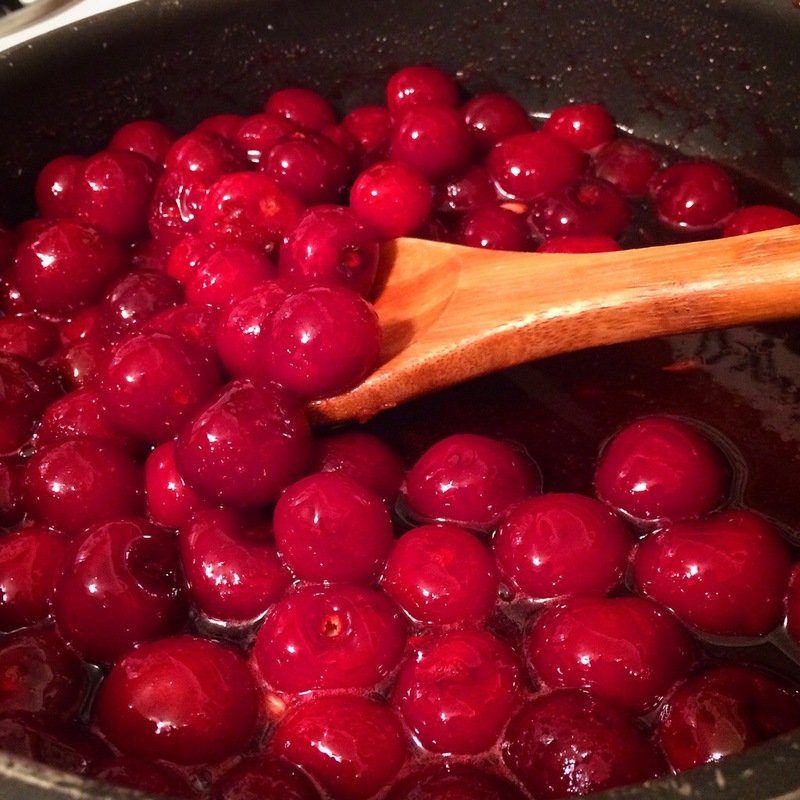 Combine the cherries, sugar and lemon juice in a large saucepan and bring to a simmer over medium heat. Reduce the heat to medium-low and continue to simmer for 20 minutes, stirring occasionally. Remove from heat and let cool. 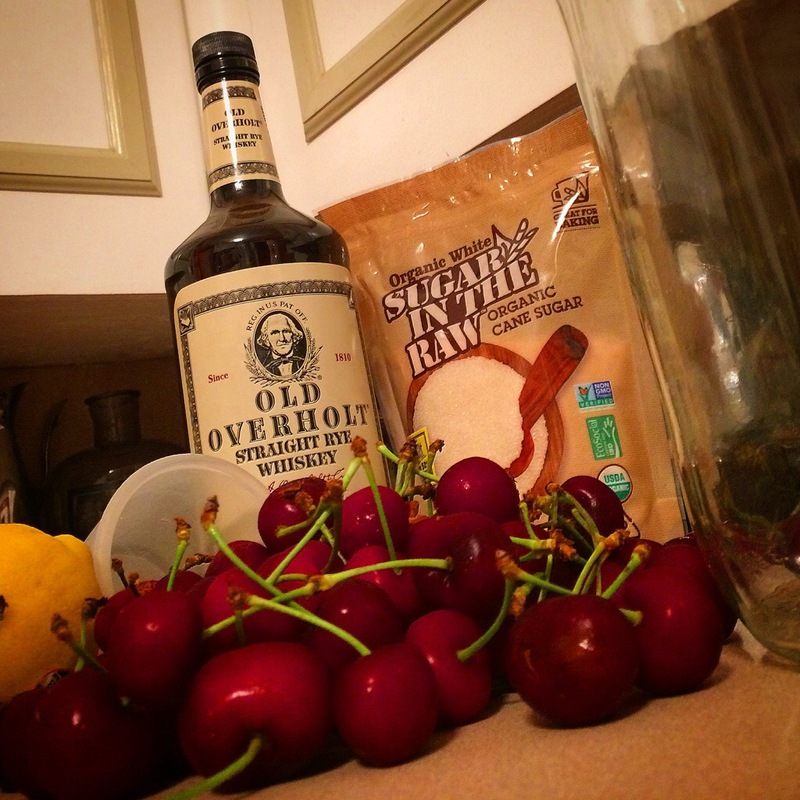 Pour cooled cherry mixture into a large glass jar and add the rye whiskey. Secure the lid, shake to combine and let rest in a cool, dark place for 3 months. After 3 months, strain into a clean glass jar. If desired, reserve infused cherries for garnishing. The bounce will keep for up to 2 months. The above recipe text was modified from the Imbibe recipe.